Is BLACK the color of the season? My students really seem to love these ‘dark’ Eclipse themes. Well, I tried ‘dark’ themes in the past, but I have not been vey excited about it. Somehow I preferred more the ‘black on white background’ thing. 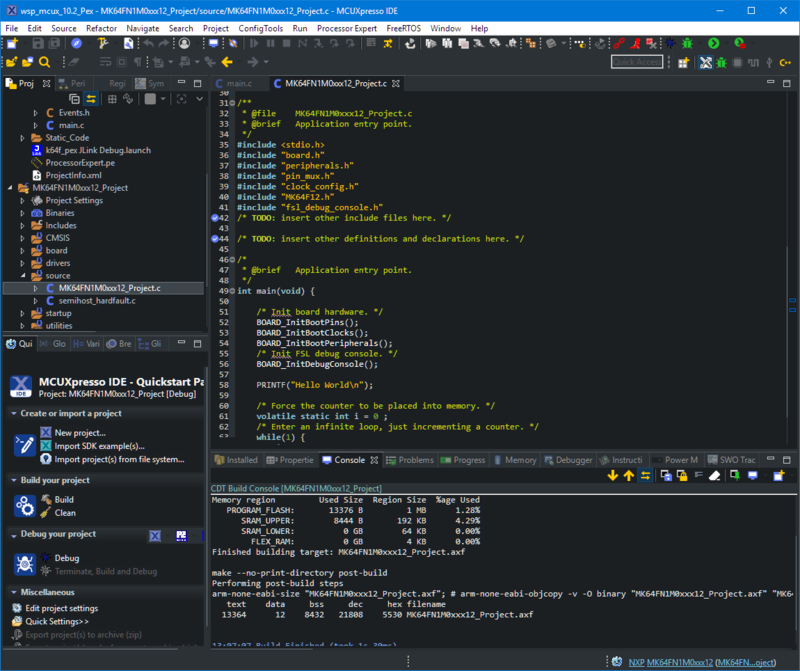 But: I have now managed to install the ‘Darkest Dark’ Eclipse theme into the NXP MCUXpresso 10.2 IDE for my daily work, and I feel it hurts my eyes less? Maybe I’m getting older? Or could it really be that ‘dark’ look and feel? Find out for yourself in the following article….